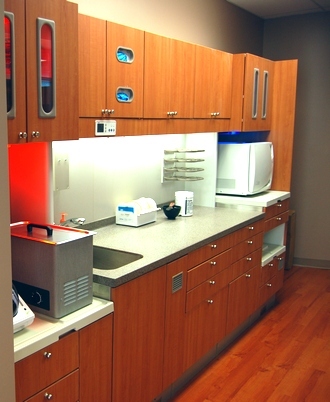 Our modern state-of-the-art sterilization center is one of the best in the area. Our sterilization center far exceeds OSHA requirements. Also, the source of water for our dental units is distilled water (bottled water); by using distilled water, the chances of contamination is eliminated (unlike when using regular tap water).